I love downtown Boulder and all the fantastic choices for drinks or dinner. But I must admit I do schedule my itineraries around peak times since it is sometimes hard to get a table at my favorite haunts. That is one reason it was so appealing to sit down on Colterra‘s outdoor patio on a Tuesday night in Niwot. Even with prime August weather and during prime dinner hour, the huge patio still had seats for anyone who cared to walk up without reservations. Colterra is upscale. Show up post-hike and you will be warmly received but still wondering whether you should have first showered and changed into something a little more spiffy. The menu is relatively simple, with only half a dozen small plate options and eight main courses on the menu. The staff is observant and helpful but also happy to let you sit and enjoy what rightly should be a long, luxurious meal. The food, orchestrated under owner Bradford Heap and Executive Chef Flavio Arrellano, is tasteful, well presented, and plentiful. Prices are quite reasonable for the quality provided. The patio is beautiful, with a view over downtown Niwot and shaded by a canopy of tall trees. In short, Colterra gets is right. The next time you have a special event to celebrate, Colterra is a great choice. You will not be disappointed with any aspect of the restaurant. Don’t order the wines on your own. We ordered two off the menu and were slightly disappointed. We then spoke with the sommelier and he picked two more that both wowed us. The small plates are not that small and are great as a meal or to share. Try the Polpette (beer and pork meatball), which had more flavor packed into one large orb than any food I have eaten all year. Take an Uber (which cost us only about $14 each way) and enjoy yourself without taking risks. 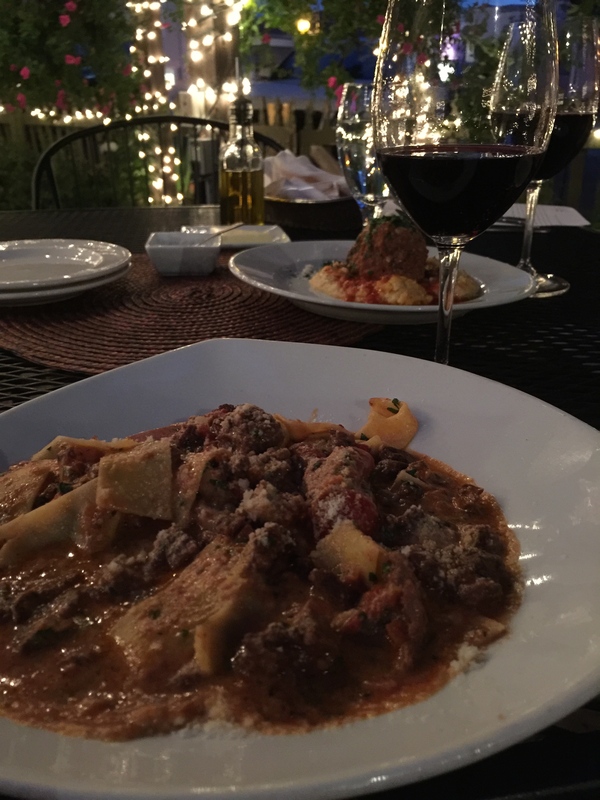 Plan your trip for good weather and request a seat on the patio! 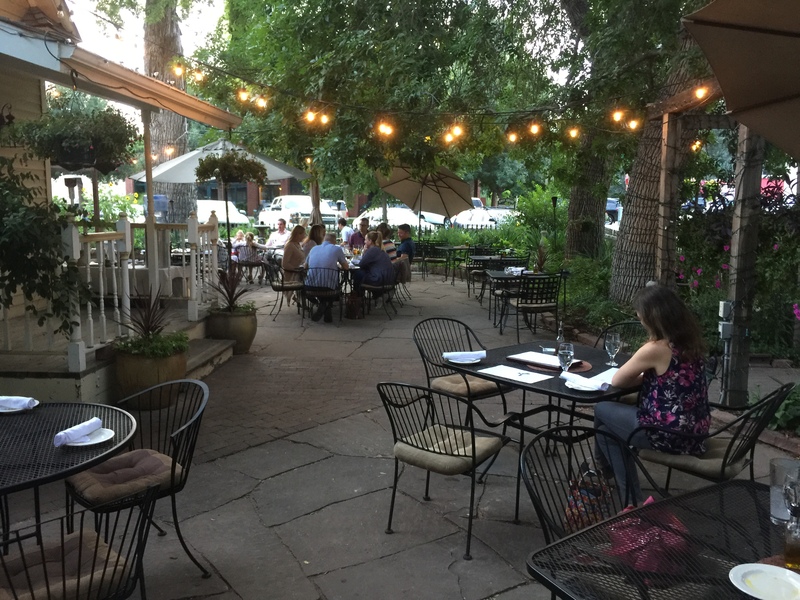 So for the best patio dining in Boulder, head to Colterra in Niwot. You will be happy you did. I have had very few large meat orbs. So I am guess I am comparing the flavors to those of every other dish I have had, not just meatballs! Good question. Colterra is a rock concert of a place! Not in the literal “loud and crazy” sense, but in the “Heck yeah, this is great” sense. Awesome place. One question: while the Polpette sounds delish, exactly how many large meat orbs have you had this year to compare it to?